After considering our first five questions to ask when evaluating courier software, allow us to present five more. These questions can help you choose a delivery software solution that will benefit your organization for years to come. 1. Does the solution help where you need help? Every business has certain areas that could be improved. When evaluating courier software providers, ask yourself what aspects of your business need improvement. Certain software options may help with these areas, while others may hinder your potential changes. Be sure that the features and options offered by your chosen provider fit within your business’s needs. 2. Is the software compatible with your existing hardware? Some software solutions may require that you purchase new mobile devices, computers, or other hardware in order to use the programs. If the software will not work for you, all other considerations will likely be moot. It is important that you consider whether or not you are willing to make the investment required and if the benefits provided will be worth that cost. The provider’s sales or support team should be able to offer you information regarding any hardware or software accommodations that you may need to make. 3. Does the price work for you? Every courier delivery software is priced differently. Generally, different features are available under different levels of pricing. Consider whether the plan that contains your desired options is worth the purchase or subscription cost and if it fits within your plans for the future. If you are unsure about the investment, check whether the software provider offers a money back or other relevant guarantees. 4. Are you satisfied with the level of support offered? Because you are committing to a potentially and hopefully long term relationship with the software’s support team, your ability to communicate and work with them will heavily impact your overall satisfaction and ability to use the software. Be sure to contact support before buying and read through customer reviews to find out if the support team is understanding, capable, and right for you. 5. How long will implementation require? Setting up and implementing a new courier software system will require time and training. Because you want your software to improve your day-to-day efficiency, the most seamless and speedy transition will allow you to start reaping these benefits soonest. Find out about setup assistance and software demonstrations offered by potential software providers to make the best choice for your business. While the experts at OnTime and other software providers are well-versed in the intricacies of courier management solutions, no one knows your business like you do. The best and most valuable assessment of your company’s needs is your own. Below are five questions to ask yourself when evaluating courier delivery software to help decide which software is right for your business. 1. Is the software configurable to your company? The way that your company works is unique. Your courier management software must be customizable to fit your unique needs and adaptable to your business processes. Consider the way that your dispatchers, drivers, and other employees work. 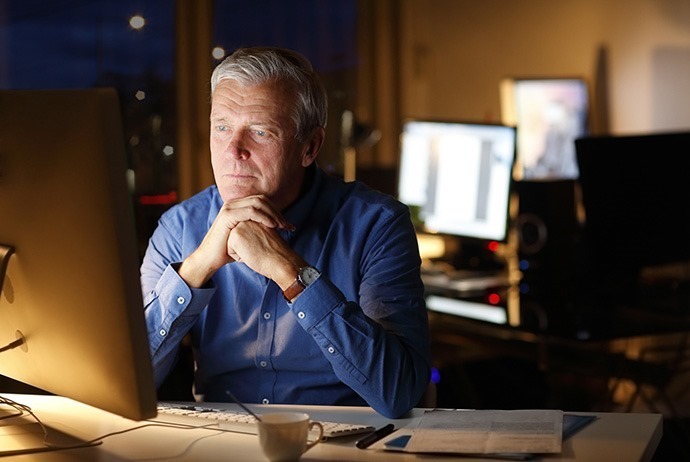 If the software that you are considering requires that you completely overhaul the way that your business is run, you may want to consider a more flexible solution. 2. Is the software secure? To feel assured putting your data and customer information into a software system, learn about their security. Find out how your data will be stored, when and where it will be secured, and what methods are used to keep your data safe. This information can help you to ensure that your chosen delivery software will fit with your current Firewall and IT infrastructure. 3. Can the software integrate? If you use a variety of software systems to keep track of your customers, accounting, employees, and other important company data, your courier management software must be able to communicate with these programs. 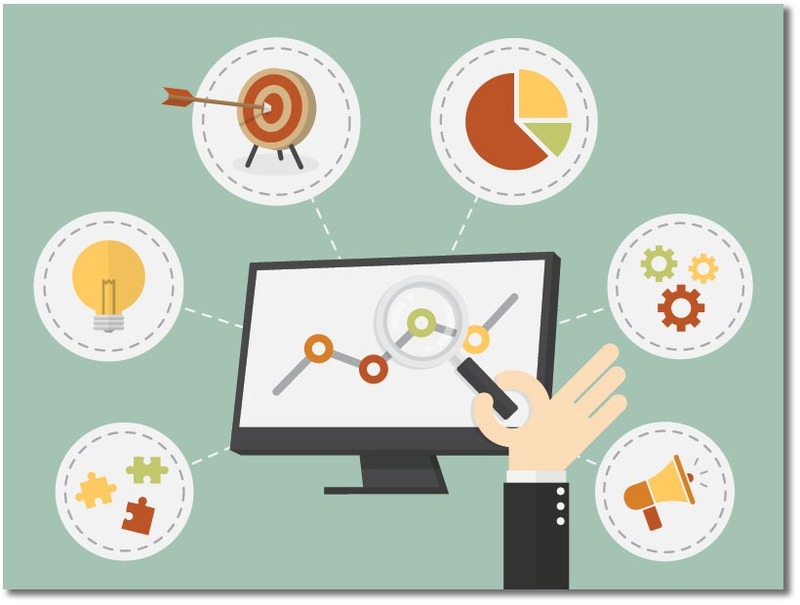 Look for a software with complex and varied integration options to allow you to connect your data and inform your company accurately. 4. Is the order entry process an improvement? 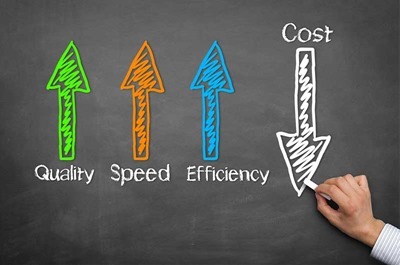 One of the major reasons that likely inspired you to investigate courier software is the potential to improve dispatching speed and effectivity. Certain features, such as autofill suggestions and pre-assigned pricing will be offered by the solutions which will have the largest positive impact on your order entry and dispatching processes. 5. Can the system function offline? If you cannot connect to your data without an internet connection, drivers in remote areas will be unable to use your system. This can result in inaccurate data, missed deliveries, and other issues. Be sure that the software you select has the ability to function offline so that your data is always up-to-date and available to all of your users, no matter where they are. Whether you haven’t tried courier software or you are unsatisfied with your current solution, you have been thinking about making an upgrade. If the following seven signs describe your courier company, the time to find a better courier software is now. Because your day-to-day is always evolving, you need to be able to make informed decisions at a moment’s notice. Your courier management software should allow you to analyze your entire company’s performance whenever you need. If you are always stuck waiting for reports from multiple systems and departments to be consolidated, your business will fall behind. With your scheduling spread across multiple or unreliable systems, you will likely experience difficulties managing deliveries. Late, unfulfilled, and cancelled deliveries may be more common. An effective courier software solution will provide you with the ability to track deliveries and notify customers of any delays at the moment they occur. With the records that you accumulate, you will be able to identify issues within your delivery management and automate the adjustments that will improve your business. You and your employees spend an inordinate amount of time on minute and manual tasks that should be automated by your courier management system. These tasks may be as simple as transferring information from a spreadsheet, or as complex as implementing the proper pricing configurations. In any case, this inefficiency is a drain on your company’s resources and a waste of your and your employees’ time. If you are unable to offer the level of service and variety of options that your customers enjoy from competitors, an upgrade of your courier software may provide the competitive advantages that you are missing. Online tracking services, instant text and email notifications, and printable reports are some options that can help to facilitate better customer service. You lack sufficient mobile integration from your current courier software provider and your employees and customers are suffering for it. A lack of internal communication has negative effects on customer service and your bottom line. Up-to-date courier management software will provide you with the tools you need to facilitate proper communication, such as mobile applications, automated notifications, and built-in messaging services. Lately, it may seem as though the advantages of cloud computing are being shouted from every rooftop. The support and security that hosted services can offer has outpaced on-premises solutions. You need to be able to access your information at any time, from any device. Cloud computing makes this possible. You are excited by the opportunities that technology has made possible within the courier industry, but you find yourself unable to implement these new innovations within your company because your current system simply will not support them. If your courier management solution is unable to grow and change with your business, you will likely find it is time to move on to a new service. Interested in learning more about courier software in the cloud? Get a quick comparison of how your existing courier software may stack up against OnTime 360. Meeting people and telling them about your company and services is one of the most effective free ways to advertise your courier business. Be sure that you comport yourself in a professional manner for these types of professional interactions. Some ways to encourage your ability to network include joining local business networking groups, such as your Chamber of Commerce, or carrying business cards to give to potential new clients or contacts. Depending on what types of people or businesses you serve, you may have opportunities to network and advertise in unique ways. For example, grocery delivery services can meet contacts and customers at grocery stores, farmer’s markets, and even apartment buildings, whereas medical delivery services will find more success at doctor’s offices and pharmacies. However, both of these types of courier services could likely find new customers at retirement homes. The most effective ways to advertise your business will be based on your audience. Depending on your budget and the size of your community, you may have a variety of advertising options available via the local press. From television and radio commercials to putting a classified ad in the newspaper, your local media will give you access to more customers in your area. If paid advertising options are too expensive or ineffective, you may want to put together a press release and send it to your local papers, radio stations, and television networks for the opportunity to have a profile presented on your local business. Fledgling startups and established enterprises conduct many operations differently from each other, but both types of companies require one thing to survive: customers. Without a connection to your audience, your business will be unable to grow or even operate. Advertising opportunities can provide that much needed connection to your audience in the short and long term and should not be overlooked. Below are some ways the team at OnTime 360 have found are effective in advertising your courier business. Your brand is what will help people remember you and associate you with package delivery. The colors and logo that you choose to represent your business should be legible and help to consistently reinforce your brand. Including your logo on vehicles, uniforms, your website, and advertising materials will help to further integrate your brand and company with quality courier service. The internet offers a number of inexpensive, highly effective methods for advertising your business and building your brand. Online classifieds, such as Craigslist (in the United States) and Kijiji (in Canada), are free to post on and, like your local media, can expose your brand to more potential customers. A website will allow you to reinforce your brand through design and list your services, prices, contact information, and hours of operation. With social media, you can keep in direct contact with your customers. Your promotions will even be included in their update feed. Including more advanced online features can often draw new customers that require such technology from their couriers. For example, the OnTime Customer Web Portal can be used to draw customers interested in a self-service portal and improved regulatory compliance. Word of mouth is one of the most trusted forms of advertising. If you complete your deliveries on time and provide high quality service, your clients will likely mention you to friends or associates who would benefit from your services. To encourage referrals, offer a referral bonus program for existing clients and be sure to ask long-term customers if they do know people who regularly use or require a courier service such as yours. 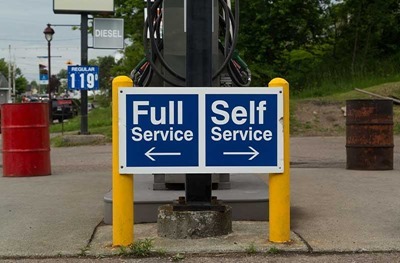 According to a 2012 study, a growing majority of customers prefer the option to serve themselves via a Customer Web Portal over calling into support lines; however, they are unlikely to use self-serve methods that are unreliable or unintuitive. With the OnTime Customer Web Portal, your customers will have access to the most efficient and effective online experience possible. The OnTime Customer Web Portal can be linked to your website and designed to match, allowing your customers to find everything that they need, from order entry to tracking features, on your website. Through the OnTime Customer Web Portal, customers can track and place their own orders, update personal information, view order histories, and more. Because the Customer Web Portal is connected to your OnTime 360 account and data, your customers will enjoy an optimal online experience with accurate and up-to-date pricing and order options. The OnTime Customer Web Portal has the advantage of being accessible to users operating in restricted environments that do not allow unsecured connections or installing untrusted applications. This helps your company service these important customers and take a big step toward improved regulatory compliance, such as HIPAA compliance. Data, such as customer address and phone number, is included in your Customer Web Portal and can be updated by customers independently. This information will be available to you and your employees at any time, allowing you to track and view complete information on customers, including past notes, orders, and preferences. As well as offering your customers the best possible self-serve experience, your OnTime Customer Web Portal also reduces incoming calls for support and order placement. This reduction in calls can lead to lower costs for you and more time for your employees. To encourage your customers to use your website and OnTime Customer Web Portal, add other incentives to visit, such as exclusive online ordering options. Experience the OnTime Customer Web Portal for yourself by signing up for an OnTime 360 Enterprise account or trial account today. Why Should You Use Courier Software? If you are not currently using courier software, you are likely considering trying it and wondering what differences the technology could bring to your business. The team at OnTime 360 have worked with thousands of delivery businesses who have asked what courier software could bring to their organization. Here are some things we’ve seen courier companies benefit from time and time again, leading them to try courier software. To be the best courier service, your dispatch, pickup, and delivery processes must be optimized to be as efficient as possible. The general positive effect that delivery management software solutions have on businesses’ efficiency makes seeking a solution a natural choice for those who wish to improve. Delivery software allows your drivers to handle and use handheld mobile devices to collect and deliver information such as customer signatures when making a delivery. Because your drivers and customers no longer have to deal with reams of paperwork, delivery interactions are much faster. Additionally, all information input into your software solution will be automatically stored and available for later reference, bypassing a number of potential clerical issues. Some courier software solutions come equipped with a web portal or application that can be used by your customers to access some of your services online, without ever having to talk to a customer service agent. The reduction of calls that you receive is one benefit to this option. Another is the freedom that your customers will be able to enjoy. The self-serve option will allow your customers to place their own orders, track the progress of their orders, print and export data regarding their past and current orders, and access a variety of other information. Web portal options can be linked to your website, allowing you to put everything that your customers need in one place. Some solutions will allow you to view your company data in real-time. This means that you can use the application to access up-to-the-minute information about orders, employees, customers, and pricing. With this option you and your employees will all be able view accurate and relevant information whenever necessary. Notification and messaging options will allow you to keep in constant contact with your customers and employees. Notifications can be sent manually or customized to be sent automatically to drivers or customers when certain actions occur. Messaging can be used to keep drivers and dispatchers in direct contact with one another. Whenever an issue occurs, you can be sure that it will be addressed immediately and effectively based on your prerequisites within your system. Like efficiency, a reduction in human error is inherent with an upgrade to a delivery management solution. You will be able to generate reports automatically by accessing data that is stored in different areas of your system. These reports can be sent via email to further reduce your use of paper and improve your impact on the environment. Automated actions, electronic storage and filing, and paperless options are some of the benefits you’ll see with the appropriate courier software. Once you make your services available to the public, promotions and advertising will help you to capture your market. The methods that you choose to use may change based on whether you are working B2B or B2C, but some methods will help to grow your business in any sector. The first of these is creating and maintaining a website that provides detailed information about your pricing and services. 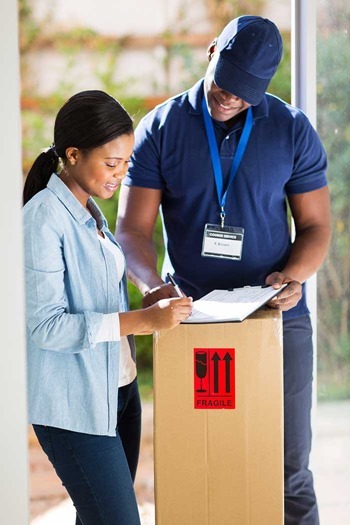 Some courier software solutions will allow you to connect your customers to online tracking and other delivery options via your website, improving your reputation for customer service. A second method that will help you to capture your target market in any sector is advertising in print and online. The type of advertising that will be most effective for your business will depend on your area and business focus. Flyers may be effective in a high-traffic, urban area, while advertising in the Yellow Pages may be more effective if your area is suburban. Finally, direct contact with local businesses and institutions, such as schools, hospitals, and retirement homes, can further assist with building your reputation and obtaining new customers. If your new contact has a busy lobby, ask them to hang a flyer or make your business card available in that area. Whether these meetings result in long term contracts, single jobs, or simply a new contact, your reputation within the community will be stimulated. As you find your customers and cement your reputation, your company will likely need to expand. New employees may require salaries and health insurance. An office may be necessary for your dispatchers and a lot for new vehicles. Long term contracts and corporate accounts will help you to accommodate these increasing costs. Communication with current and past customers will have a significant impact on your reputation for customer service. If you hope to obtain long term contracts in your area, an impressive reputation will be necessary. Providing delivery options such as tracking on your website can help with this improved communication and customer service. Courier software systems also offer the ability to send automatic or manual updates to customers via text, email, or fax regarding delivery status. Your research into competitors likely revealed that punctuality is highly valued by your potential customers. Scheduling pickups and deliveries in the most efficient ways and executing these schedules in a timely matter is one of the most important aspects of a successful courier company. Multiple drivers will help you to fulfill growing demand, but managing these drivers and their schedules may be a challenge. Using a courier management software to schedule your pickups and deliveries will help you to address this challenge. When you experience unexpected delays, these solutions may also be used to send notifications to customers. Ensuring that you are always on time and in contact with your customers will have a significant impact on their loyalty to your business. The courier industry is booming and, with the popularity of online shopping, the demand for direct delivery is only expected to continue to grow. With just a cell phone, a vehicle, and a passion for communicating with customers, you can establish your own courier startup with minimal additional expenses. To begin your courier business, you will first need to obtain the equipment required to complete your deliveries. If you have a car and a cell phone, you may already have all the equipment that you need. The types of vehicles that you employ will determine what types of packages you are able to deliver. For example, bicycles may be good for delivering small gifts locally, but would be unrealistic transport for home appliances. Another important thing to consider when starting your own courier business is your office. Home offices can be ideal for startup courier companies. Because you spend much of your time out of the office while picking up and dropping off deliveries, a quiet room with a phone and a computer should be plenty for you to get started with booking deliveries and communicating with customers. Because the courier industry is so vast and serves so many different sectors, you should determine your focus before you begin looking for customers. Your final decision should be based on what will serve your area in the long term. If you are working in a city, you may wish to focus on working with businesses and obtaining corporate accounts. However, if your area is more suburban, perhaps a consumer focus, such as delivering groceries to seniors is a more viable option. The resources and equipment that you begin your business with will affect this decision, as well. Before you begin meeting with customers and completing deliveries, your business will need a name, appropriate licensing, and insurance for your area and the services that you will provide. A vendor’s license, cargo insurance, and vehicle insurance will likely be necessary before you can begin conducting business. You may wish to meet with specialists or business advisors in your area before making any major decisions within your organization. These advisors can help you to determine what types of licensing and insurance you will need, as well as assist with reviewing accounting records and filing taxes. As your company grows, you can look to these advisors for assistance with hiring employees, providing health insurance, moving to larger offices, and maintaining a larger fleet of vehicles. The prices and services that your competitors offer will have a continuous impact on your ability to find and maintain a customer base in your area. Compile a list of direct competitors and conduct research into their rates, methods for customer service, and delivery options. To gather accurate and up-to-date information, call or email your competitors requesting information regarding the services offered. Be sure to pay attention to the level of customer service provided during your research process, as your business will need to meet or exceed that in order to compete with these established courier companies. From insurance to gas and salaries to taxes, your courier business will require that you address certain costs. Your ability to afford these costs as your business runs will be determined by the number of customers that you have and the prices of your services. Before you launch your business, a projection of these costs will help you to determine what your business will need to stay afloat and what it will need to grow. As your business operates, your expense records will be integral to tracking your costs and continuing to determine the price and number of deliveries that your business needs. Managing the flow of information across your new business can be overwhelming. A capable and reliable courier software system can help organize this information. Choose a powerful and flexible courier software system that will grow with your business. OnTime 360 is a solid choice for new delivery businesses. OnTime gives you low startup costs, the ability to grow with your business, and provide powerful features and technology when you need them. With OnTime 360’s monthly subscription plans, you only pay for what you need. In our next article, we’ll share ideas on how to promote your courier service and grow your business. Microsoft has made it easier than ever to integrate a web site or application with the OnTime API Webhook feature. This makes efficient, real-time, two-way communication a reality for anyone using the OnTime API. A webhook is like an API endpoint, but reversed, allowing web sites, apps, and software systems to receive output from OnTime. Instead of making a call to the OnTime API, users define a callback URL that OnTime will HTTP POST information to as events occur. That callback URL can then execute code based on those POSTs. Webhooks are compatible with virtually any programming language, website, or software system. 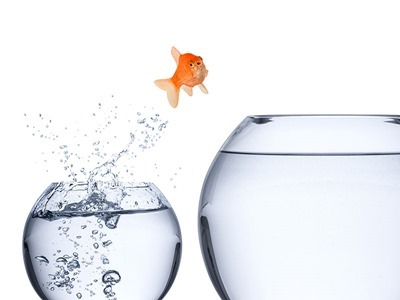 Acting on changes quickly can be important to your business and open up new opportunities. Imagine a potential customer who offers you the contract if you have the technology to update their software system immediately when a change occurs in your OnTime account. A webhook makes that possible. Microsoft has introduced a new library on GitHub that makes interacting with webhooks simple, on-premises or in the cloud. ASP.NET WebHooks Receivers are open source and work with ASP.NET Web API 2 and ASP.NET MVC 5. These tools make some seriously powerful scenarios possible. Learn more about using these free tools from Microsoft.